"Lip balm with a kiss of bliss! 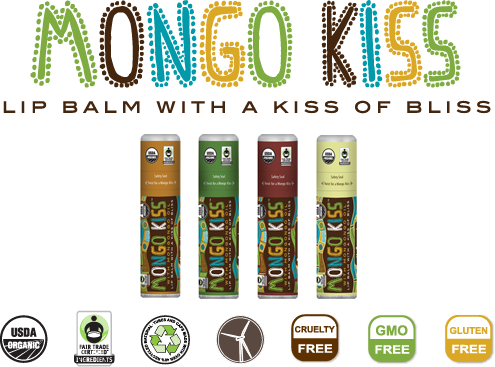 Mongo Kiss™ lip balms feature certified organic ingredients and Fair Trade Certified™ Cocoa Butter infused with Mongongo Oil, a nutrientrich oil from Zambia, Africa. Used for centuries by the Kung bushmen of the Kalahari to cleanse and moisturize their skin, Mongongo Oil is high in Vitamin E and other nutrients perfect for nourishing skin. A natural humectant (attracts and retains moisture), Mongo Kiss contains essential fatty acids necessary for your skin to create a flexible barrier that can prevent and repair skin damage." These lip balms are wonderful. They have a very silky texture due to the cocoa butter, and mongongo oil without being greasy on the lips, they apply smoothly, all of the flavors are wonderful especially the Peppermint flavor, and they are for a wonderful cause as they are Fair Trade! They keep my lips nicely hydrated without feeling greasy or like they sit on the lips, instead they actually absorb, and make a great base for lip color or to hydrate dry, winter lips. Refresh and awaken your senses with organic essential oils of spearmint and peppermint. 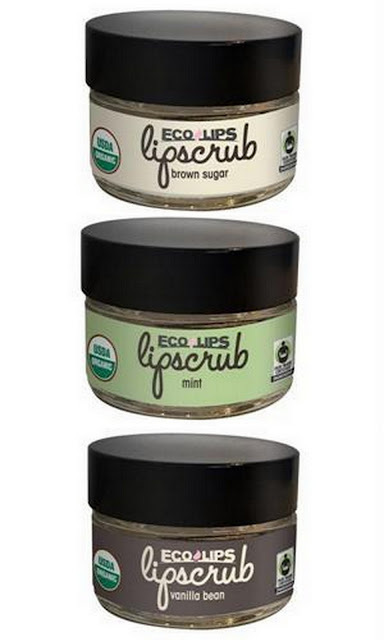 Organic, Fair Trade Certified™ sugar exfoliates and polishes while organic coconut oil, olive oil and jojoba oil moisturize and protect. Smooth lips and fresh breath – a winning combination! 60% Fair Trade Certified™ Ingredients. GLUTEN FREE, CRUELTY FREE, GMO FREE"
Overall, I'd totally recommend both of these products!